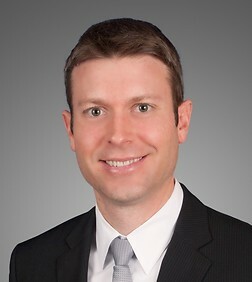 Ryan Lund is a special counsel in the Real Estate, Land Use and Environmental Practice Group in the firm's San Diego (Del Mar) office. Mr. Lund’s practice is focused on transactional real estate law and general corporate law. His real estate experience includes the representation of lenders, developers and institutional and non-institutional investors in a variety of transactional real estate matters, including financing, acquisition and disposition of commercial and residential properties, commercial leasing and forming and representing limited liability companies, limited partnerships and joint ventures. His corporate experience includes the representation of public and private companies in a variety of corporate transactional matters, including mergers and acquisitions, corporate governance and general company representation. Represented purchaser in acquisition of 1,410 unit multi-family development in San Diego, California. Represented purchaser in acquisition of 427,500 square foot, 12 building, commercial office park in Santa Clara, California. Represented purchaser in acquisition of 410,855 square foot, 12 building, commercial office park in Woodland Hills, California. Represented purchaser in acquisition of 84,798 square foot, 3 building, commercial industrial complex in San Diego, California. Represented seller in disposition of 75,000 square foot commercial office building in Los Angeles, California. Represented purchaser in acquisition of 49,322 square foot mixed-use center in Coronado, California. Represented purchaser in acquisition of 44,422 square foot commercial retail building in Minneapolis, Minnesota. Represented purchaser in acquisition of 37,615 square foot retail/office building in Chicago, Illinois. Represented purchaser in acquisition of 25,126 square foot commercial office building in Santa Clara, California. Represented purchaser in acquisition of 20,425 square foot retail portion of mixed-use residential and commercial development in Pasadena, California. Represented purchaser in acquisition of 4,738 square foot commercial retail building in San Diego, California. Represented purchaser in acquisition of 3.6 acres of land in Irvine, California. Represented purchaser in acquisition of 218 room Radisson hotel in Atlanta, Georgia. Represented collateral agent in connection with a $688,000,000 loan term conversion secured by an energy project in El Segundo, California. Represented borrower in connection with a $140,000,000 refinance secured by a hospitality project in San Diego, California. Represented borrower in connection with a $7,700,000 construction loan for a residential project in San Luis Obispo, California. Represented borrower in connection with a $3,600,000 construction loan for a residential project in Los Angeles, California. Represented borrower in connection with a $1,900,000 loan secured by 1.95 acres of raw land in Vista, California. Represented owners and tenants in office, retail and industrial lease transactions of all sizes throughout the United States.